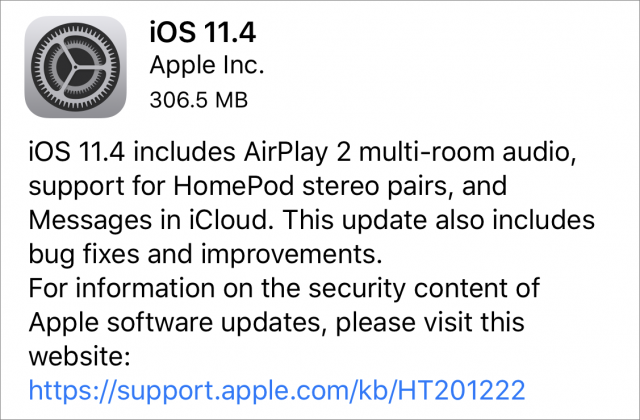 AirPlay 2: While iTunes on the desktop has allowed you to send audio to multiple AirPlay receivers for years, AirPlay 2 finally brings this feature to iOS with the iOS 11.4 update. The tvOS 11.4 update also makes the fourth-generation Apple TV and Apple TV 4K into AirPlay 2 receivers and, intriguingly, HomeKit accessories. As always, we recommend holding off on installing any major updates until you’ve backed up your devices and waited a few days to see what, if any, unwelcome repercussions they may bring. You can install the iOS 11.4 update (306.5 MB on the iPhone X) from Settings > General > Software Update or via iTunes. Besides AirPlay 2, the main feature of iOS 11.4 is Messages in iCloud. 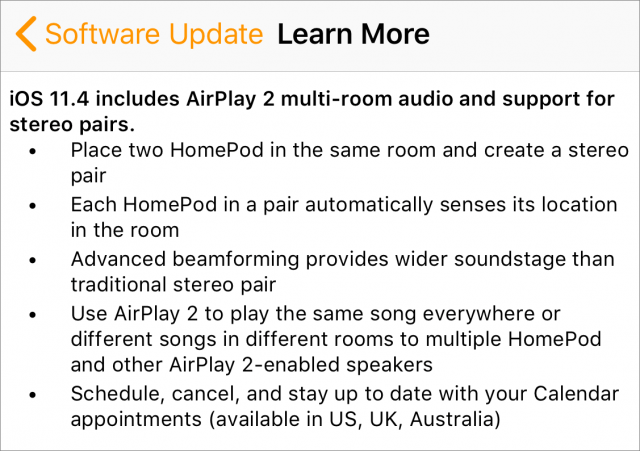 (We discuss AirPlay 2 later in the article since it spans three operating systems.) This feature was included in some of the iOS 11 beta releases last summer but removed before release. Once enabled, it’s a pain to turn off because your device must first download all the messages from iCloud. When you turn it on, your messages in the Messages app count against your iCloud storage quota. (That’s one way to boost Services revenue…) While actual messages likely won’t use much space, photos, videos, and other attachments will. Frankly, we think it’s shameful that Apple is effectively charging for message sync features that have been free on every other Internet messaging client in history. But, unlike most messaging clients, iMessage is end-to-end encrypted, and that’s still true even if you use Messages in iCloud. Messages no longer take up space on your devices. Your messages sync perfectly. Sign into a new device and all your messages appear in iMessage—supposedly even in order! Delete a message on one device, and it disappears from the other devices. To enable Messages in iCloud, go to Settings > Your Name > iCloud and turn on Messages. To check and see how much space your Messages take up, tap Manage Storage on that screen and look next to the Messages listing. To disable Messages in iCloud, turn off Messages in Settings > Your Name > iCloud, but it’ll take a while to complete because your device has to download all the messages first. Frankly, we don’t yet know what this could break, so don’t be too flippant about flipping this switch. For messages to upload to iCloud, your device must be connected to Wi-Fi and power. Otherwise you’ll see a message telling you that uploading is paused. The release notes for tvOS 11.4 mention just one thing: AirPlay 2 support. 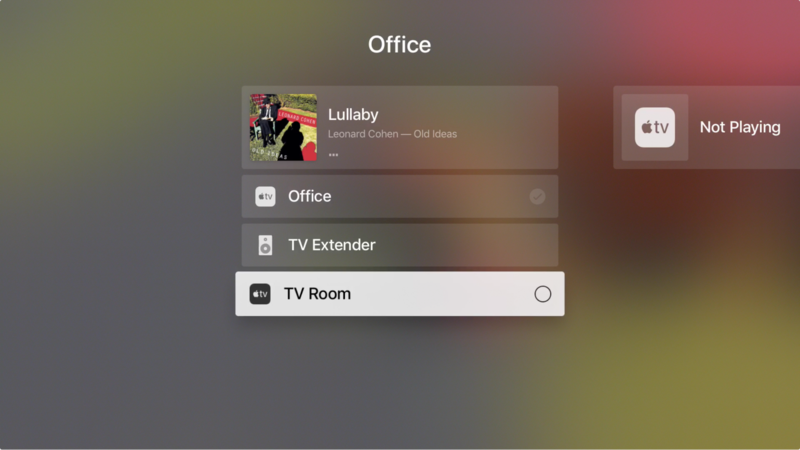 Specifically, when you install tvOS 11.4 on a fourth-generation Apple TV or Apple TV 4K by going to Settings > System > Software Updates > Update Software, you can now use it as an AirPlay 2 receiver or to send audio to multiple devices. 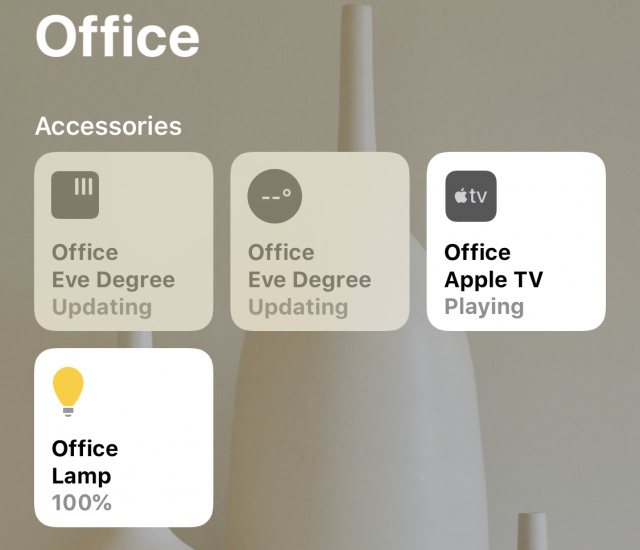 After you install the tvOS 11.4 update and your Apple TV boots back up, you will be asked which room your Apple TV is located. 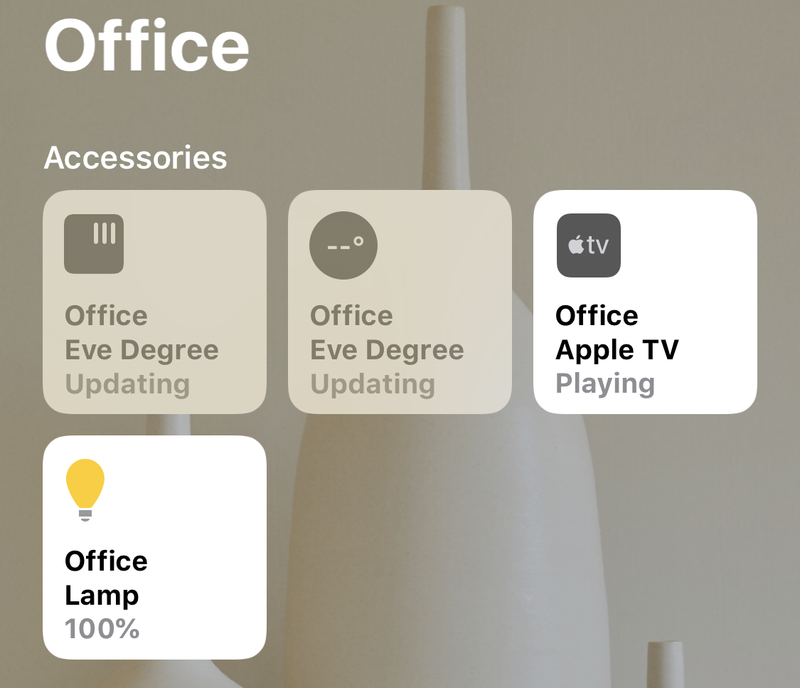 If you have HomeKit set up, you’ll notice that some of those room names are HomeKit rooms. That’s because your Apple TV is now counted as a HomeKit accessory. For more information on HomeKit and HomeKit rooms, see “A Prairie HomeKit Companion: Core Concepts” (3 November 2016) and my book, Take Control of Apple Home Automation. Like the other updates, the HomePod 11.4 update focuses on AirPlay 2, making each device an AirPlay 2 receiver and letting the HomePod send audio to other AirPlay 2 receivers. The other big feature is stereo pairing, which I’ll explain below. Also, the HomePod can finally interact with your iCloud calendars: ask it something like, “When is my next haircut?” and it should tell you! In theory, you shouldn’t need to install the HomePod 11.4 firmware manually, but if you want to, Apple has instructions. In short, open the Home app on an iOS device that’s signed into the same Apple ID as the HomePod. When you select the Home tab, in the upper-left corner tap the Add and Edit Homes button arrow button that generally indicates something to do with location — no, we have no idea why Apple tied it to that button. Then tap Software Update, and tap Install. 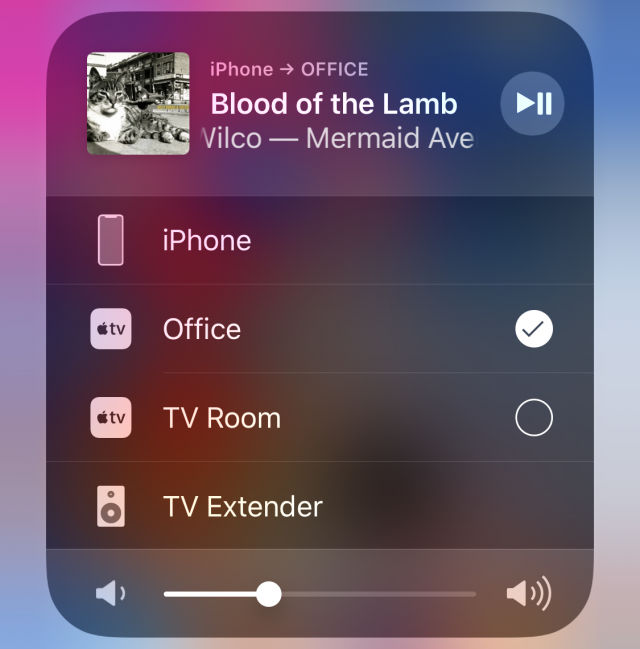 In iOS, open Control Center, look at the media control platter, and tap the button in the upper-right corner to reveal output devices. The circles (see the screenshot below) indicate every eligible AirPlay 2 receiver. Tap each one to check it and send audio to that device. If one of the receivers is already playing audio, you will be asked if you want to replace what’s playing. From the media control platter, you can use the sliders to adjust the volume of each device independently. To stop playing to multiple devices, either tap the checked circles to deselect individual devices or select a single device, such as your iPhone’s speakers. 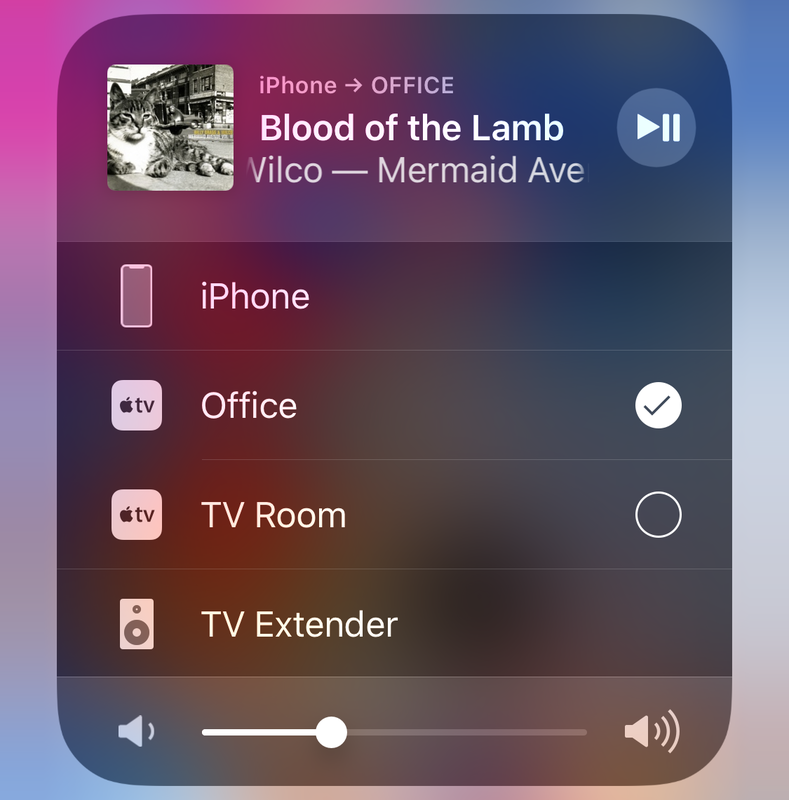 Note that the AirPort Express isn’t AirPlay 2 compatible (my AirPort Express is called TV Extender in the screenshot above). You can still output to those devices, but only to one at a time. Enter the Now Playing screen (unless you’re already there). Swipe up and to the left to highlight the audio output icon (if you don’t see these icons, press Menu to expose them). Click the touchpad and select output devices, just as in iOS 11.4. 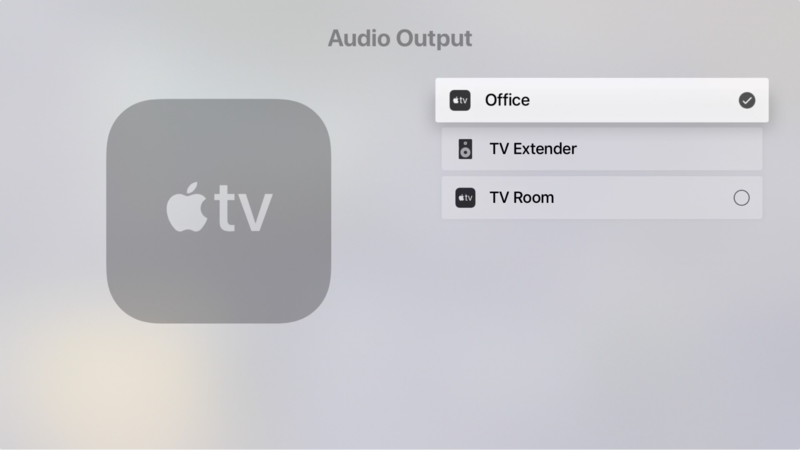 To output all Apple TV audio to AirPlay 2 receivers, go to Settings > Video and Audio > Audio Output and select them on that screen. 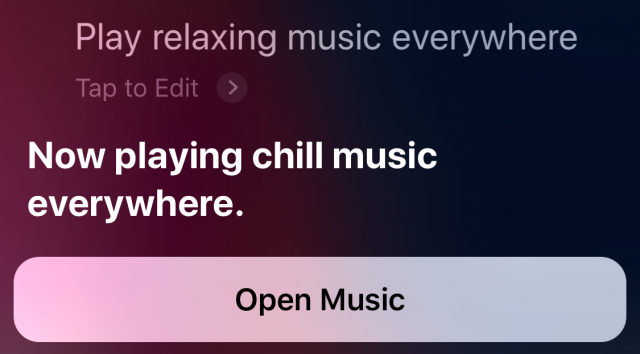 An AirPlay 2 feature unique to the HomePod is stereo pairing. 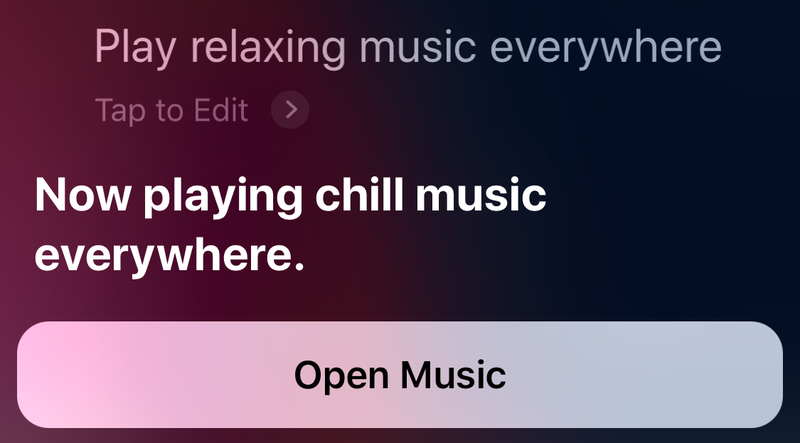 As we understand it, this happens automatically when you output audio to two HomePods and move them into the same room together. 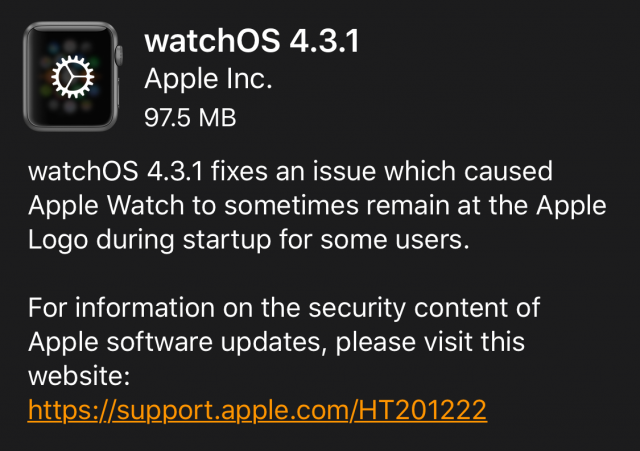 And now for something completely different: watchOS 4.3.1, which weighs in at about 97.5 MB (or larger if you haven’t updated in a while). Install the update from Watch app on your iPhone (in Watch > Settings > General > Software Update). Remember that the Apple Watch must be on its charger, charged to at least 50 percent, and on the same Wi-Fi network as your iPhone. 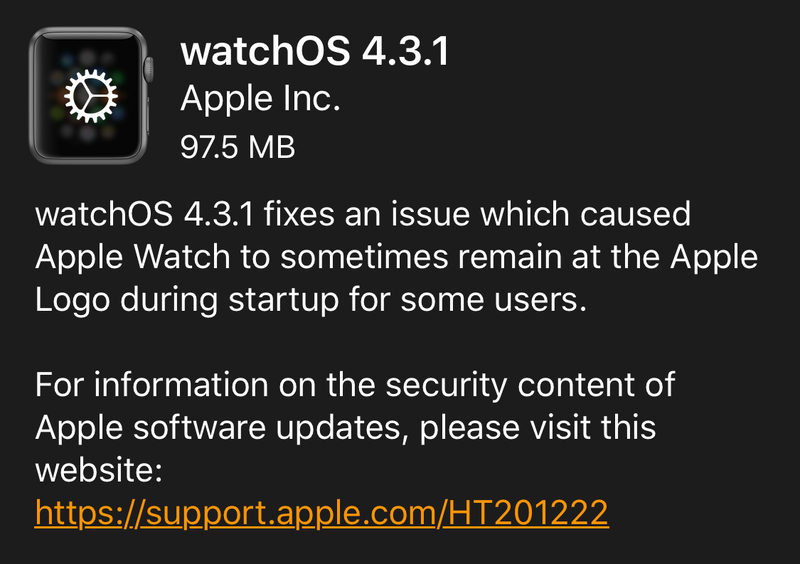 watchOS 4.3.1’s release notes mention only fixing an issue that caused Apple Watches to sometimes remain at the Apple logo during startup. Well, that seems like a good reason to update!